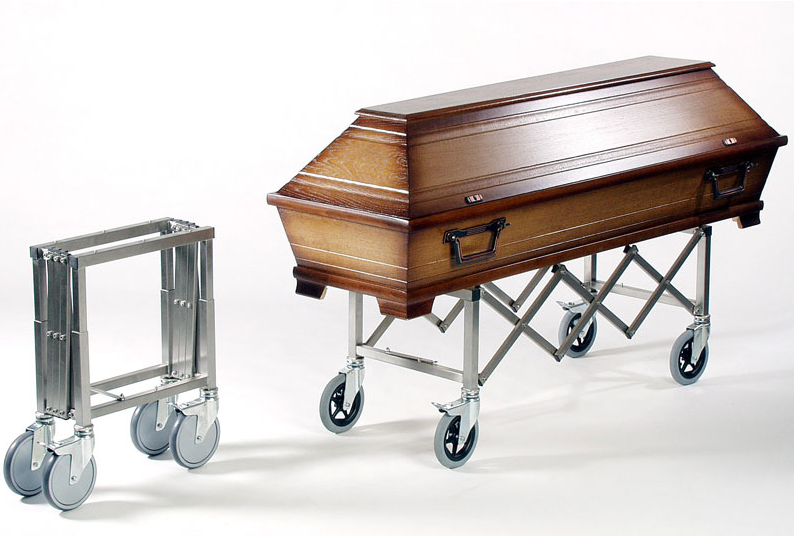 The Extendable Mortuary – Coffin Trolley has an extremely rugged, torsion-resistant x-frame structure completely made of stainless steel.The extendable mortuary – coffin trolley is designed for everyday use in the funeral and cemetery sector. 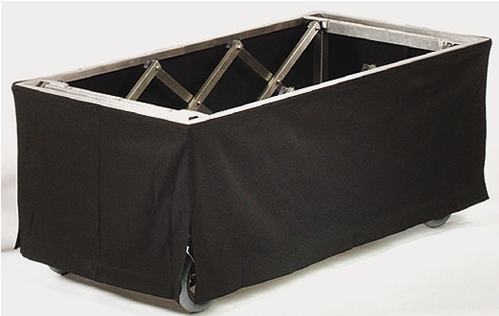 Due to the very light weight the extendable trolley can easily be transported in funeral cars. 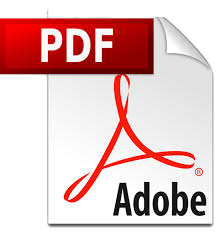 When folded it can be secured via a locking mechanism.